Over the years, we have accumulated a fantastic collection of beautiful books about PSP, written by people with PSP, their carepartners, and even for toddlers to understand the disease’s effects on their family member. The list below is by no means a definitive list of all books available. If you are aware of a book we should list here, please email info@curepsp.org and let us know. Kathryn transformed their home from a place of illness into a place of healthy goodwill where their friends could stop by. For a few hours every day, their master bedroom became an intimate, lively space filled with drinks, food, laughter, and music. These precious moments enlightened their home and their hearts, and ultimately, led Kathryn and Geoff back to each other. Filled with warmth, reflection, and authenticity, Kathryn’s story is as much a guide to gracious hosting as it is compassionate support for caregivers. For no journey is ever so bright as the one willed with friends, memories, and—above all—love. 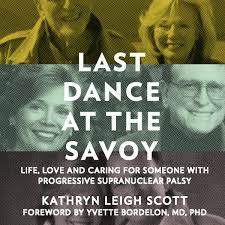 In this lyrical, heartfelt, and at times gut-wrenching memoir, Kathryn Leigh Scott shares the journey through her husband Geoff Miller’s rare disease but more profoundly, she shares her intimate love story with the world. In tender and honest writing, Scott introduces readers to the world of PSP victims and their families. 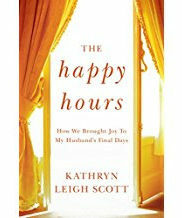 Kathryn is an author and actress who married Geoff Miller, founding editor of Los Angeles magazine. Their marriage was put to the ultimate test when Geoff was diagnosed with progressive supranuclear palsy. Their drive to live life to its fullest despite his terminal diagnosis is a testament to the love of life and love for each other that drove them through all of their days together. This book reveals the power of such a deep abiding love—even after such a deeply personal and tragic loss. 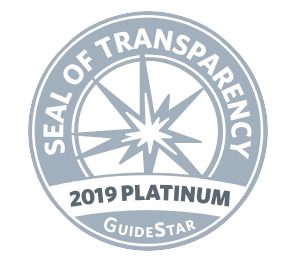 Copies of this book have been gifted to CurePSP, and proceeds of the sales will support our programs of care, consciousness, and cure of prime of life neurodegeneration. 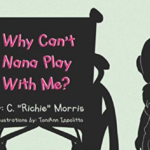 Why Can’t Nana Play With Me? 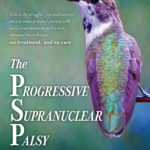 This book illustrates the neurological disease progressive supranuclear palsy (PSP) told through the eyes of a child whose grandmother is inflicted with this disease. The story will help a child understand the difficulties of this affliction on both the person that has it, as well as the loved ones that are trying to care and understand. By educating a child about this disease, you help take away the fear and uncertainty of someone that is limited in their capabilities. Richie Morris, the author of the book, is donating a portion of sales to CurePSP in support of our programs of care and support. Copies are available directly from Richie by PayPal, simply make a payment of $15 at this page, and make sure you leave your contact details and mailing address in the comments section. If you have any issues, you can contact Richie directly at 912-484-0797. Have you ever wondered what it is like to be dying? Knowing that you are within sight of reaching your own mortality? This insight into the unique illness of PSP has been painstakingly put together for the exact purposes of showing how an illness can affect one person’s life. The devotion to ‘open up’ in this frank, ‘no holds barred’ biography is to allow you, the reader, to see how an ordinary life can change in such a short time. Tim has been blogging his PSP journey, sharing his personal experiences with this disease as well as FTD – frontotemporal dementia. His readership spans the globe. Through his efforts, it is Tim’s hope to give voice to those suffering from PSP and similar diseases that no longer have a voice of their own. Advocating for those affected… patients, spouses, families and friends. Always, with the goal of raising awareness, understanding and support to further research into prime of life brain diseases. He has made his story universal, yet personal and relatable. 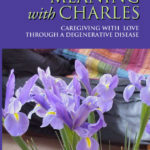 In this inspirational and instructive book, Janet Edmunson helps others learn how to become supportive caregivers for loved ones enduring a debilitating and degenerative disease. Edmunson, a health promotion professional, cared for her husband Charles through a physically and emotionally devastating illness that ultimately led to his death in the same year the couple would have celebrated their twentieth anniversary. Charles left many legacies and admirers, but one of these legacies was left for just his wife. Through the course of his life and then his disease, Edmunson learned the keys to becoming a supportive caregiver for a loved one who is ill. Her book teaches others how to help their loved one fulfill whatever aspirations are still possible, all the while becoming a stronger person because of the experience.